This week’s #DancerDose is an Emmy-Award winning choreographer whose work has been labeled as iconic. 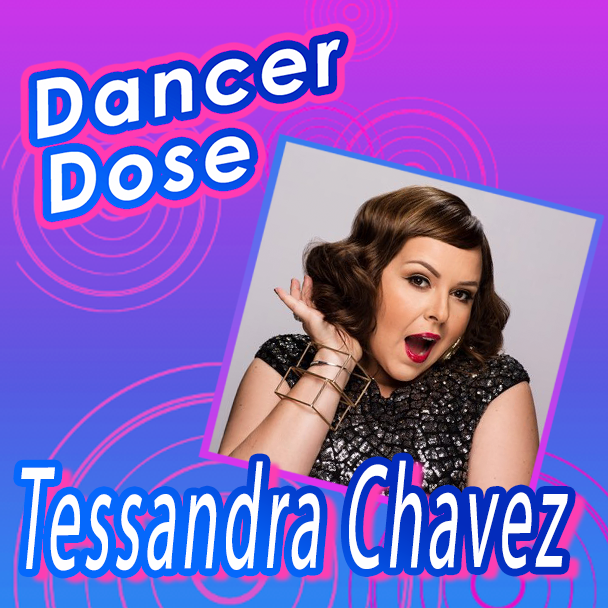 From producing work on the small screen to choreographing routines for main stages, Tessandra Chavez continues to captivate audiences with her fierce passion and unmatched talent. Chavez was born and raised in San Diego, California with a dream and desire in her heart and mind. At the age of 5, those dreams and desires took residency in the form of dance. She quickly became enamored with the art and dedicated the majority of her time to perfecting the craft and relentlessly practicing routines to ensure excellence. Growing up in a low-income single-parent home led Chavez to put her all into her craft while constantly trying to achieve perfection. As a young girl, Chavez received extensive training in Jazz, Tap, Ballet, Modern, and Hip-Hop. She embarked on her journey of choreography at age 11. Her mastery of multiple styles set her ahead of others her age as she began to reach professional levels of performance. At the young age of 15, Chavez started her own dance company called Unity Dance Ensemble. She wanted to teach her signature style to others while cultivating a following that would continue to establish her career as she attempted to reach higher levels. Word of Chavez’s talent for dance and unique contemporary style of choreography quickly spread around the dance community. Before long she was noted as a pioneer in the dance field for her incorporation of hip-hop in the melting-pot style. While Chavez shared her style with driven dancers at her studio, she also the headed the Jazz Dance Department at the Debbie Allen Dance Academy. Working alongside Allen truly set her apart and led her to quickly become one of the most sought-after dance instructors after her 6 years at the academy. Despite her immediate success with the academy, her accolades do not end there. She also became a brand name on television as she choreographed for shows like So You Think You Can Dance, Dancing With The Stars, World Of Dance, America’s Got Talent, and the X-Factor. Along with her success on television, Chavez also worked with the world-famous band MUSE on their Dead Inside music video which garnered 33 million views on YouTube while becoming a choreography classic. On September 12, 2015 Chavez’s dreams and desires turned into gold as she received the Emmy for Outstanding Choreography. Her work for Dancing With The Starsprofessionals, Julianne and Derek Hough, earned her the established award with the duo’s awe-inspiring routine to Sia’s “Elastic Heart”. The performance has been known to personify Chavez’s passion for the progressive art of contemporary dance while conveying emotions that every individual has experienced and can relate to. Following her Emmy win, Chavez became even more determined to share her craft with the rest of the world while sharing her voice and truth through her art. Chavez continues to break boundaries and inspire others as she is one of the most sought-after choreographers in the entertainment industry. That being said, she is also dedicated to helping young dancers succeed as she continues to teach students who enter her master classes the importance of being a wonderful dancer and a phenomenal person. Chavez is living proof that passion can be personified as she continues to share her story with the rest of the world through the beauty of dance.